Wireless charger is by 220V power source into a sympathetic electromagnetic field, and then sympathetic to produce a sympathetic electromagnetic field, by sympathetic electromagnetic field into current charging, Sympathetic electromagnetic field, it will meet metal products electrons swirling, electrons swirling will produce hasten to metal skin effect, in the metal, produce the heat and reduce the charging efficiency, waste electricity. And on line motherboard interference and affect the entire charger working normally. By absorbing material, through high directed flux, to provide sympathetic magnetic field circuitry, can improve efficiency. finished with heat shrinkable film packaging, flake or roll shape with complete product packaging bags, and installed in proper cartons. 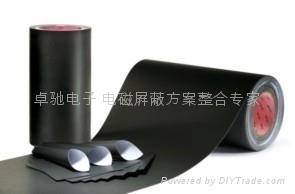 This product should be placed in a cool place, avoid the wet high temperature or insolation, in return for safekeeping conditions, the quality guarantee period for making factory within six months. Above data acquisition is through multiple tests of income average, users are certain this product is suitable for a particular purpose and are applicable ways of application of the user.